Are they all the same entity? 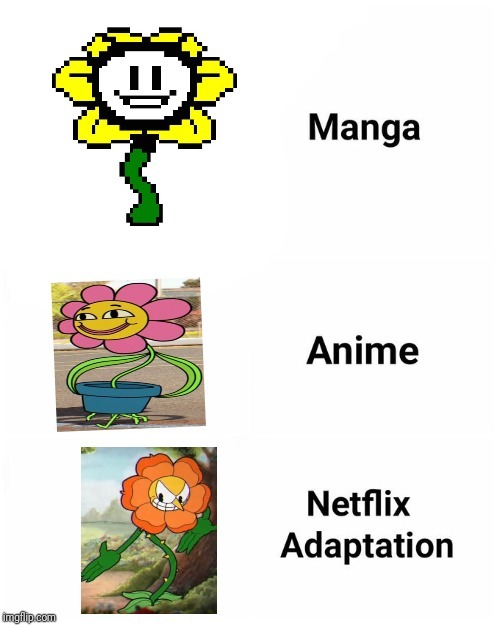 I noticed Leslie looks like Flowey. My reasonable explanation is that the creator of TAWOFG ( amazing world of gumball ) likes undertale. Gumball came out before Undertale is the problem(I know this because it came out in my last grade in high school). But some of the earlier concepts that influenced it like Homestuck may've inspired Gumball?